I've previously commented about Marvin Bittinger's book, The Faith Equation: One Mathematician's Journey in Christianity. I called it a "combination of ignorance and intellectual dishonesty". Now that I've had a chance to read it more carefully, I find I was too kind. It is pure and utter dreck. Actually, "dreck" is far too kind. I find it hard to convey the self-satisfied stupidity that is found on nearly every page. Instead of giving a detailed critique, in the spirit of the Carnival of Mathematics, I'll focus on some of the questionable mathematics that Bittinger uses. Christian apologists have long been fascinated by the power of mathematics. My colleague Wesley Elsberry has taken apart an argument from 1925 here, where the author claims that the current rate of growth in human populations implies a young earth. The writer of that bogus argument claimed that "Figures will not lie, and mathematics will not lie even at the demand of liars." Unfortunately, the reverse is true: it's easy to lie for Jesus, mathematically. And probability theory is one of the easiest tools to abuse. In The Faith Equation, tiny probabilities are assigned, often with little or no justification, and probabilities are multiplied together with no evidence of independence. These tactics are particularly evident in Chapter 4, "The Probability of Prophecy". In this chapter, Bittinger concludes that prophecies in the Bible constitute an event of probability 10-76, which is a miracle that proves the accuracy of the Bible and the existence of God. As I've already pointed out, Bittinger ignores significant criticism about his claimed prophecies. Tim Callahan's Bible Prophecy: Failure or Fulfillment?, Farrell Till's Prophecies: Imaginary and Unfilfilled and Jim Lippard's Fabulous Prophecies of the Messiah all take issue with many of the prophecies claimed by Christians. I see no sign that Bittinger has read these critiques; he certainly hasn't cited them in his reference list. "There is a concept from probability that we use often in these arguments. Suppose an assertion, such as God promising never again to flood the earth after the time of Noah's Ark, occurred t years ago, and to date the prophecy either has not been fulfilled or was just fulfilled. Statisticians would then estimate the probability of the event to be approximately one over twice the number of years: 1/(2t). We refer to this as the time principle and use it extensively." There are two problems here: first, the "time principle" is completely nonsensical and second, it is not used by "statisticians" as Bittinger claims. The "time principle" is nonsensical for several reasons. First, it is based on years, an entirely arbitrary way to measure time. We can get any probability we like from the formula 1/(2t) simply by changing the unit of measurement. If we measure time in centuries instead of years, the probability increases by a factor of 100. If we measure time in seconds, the probability decreases by a factor of about 31,000,000. Second, a well-established principle of probability is that if a space is partitioned into events, the sum of all the probabilities must be 1. But the sum of 1/(2t) for t from 1 to n can never be 1, since it is .91666... for n = 3, and 1.041666... for n = 4. Third, it doesn't take into account the character of the assertion. If I asserted in 1975 that "people will write the year 2000 on their checks", this would clearly not be fulfilled until 25 years later. Yet it would occur with probability 1 (or at least close to 1), not 1/50 as the "time principle" suggests. Is the "time principle" used by statisticians, as Bittinger claims? I used MathSciNet, the online version of Mathematical Reviews, a review journal that attempts to review every noteworthy mathematical publication. I found no references to this principle anywhere in the literature. I then consulted a statistician down the hall at my university, who had never heard of this principle and agreed it was nonsensical. So Bittinger's "time principle" is pseudomathematics, and is not used by genuine mathematicians. I asked Bittinger where he got it from, and he replied, "Your point is well-taken and I must admit that in some ways the time principle is a stretch. I did "develop" it on my own, and had it corroborated by a top-notch statistician in my department - mathematicians do that you know. I should have said something to this effect, and not "from probability."" I am glad that Bittinger admits that his "time principle" is bogus, and I hope to see a forthright admission to this effect on the website for his book. Chapter 6 of The Faith Equation discusses the power of prayer. He begins by discussing a controversial study by Randolph C. Byrd that appeared in Southern Medical Journal 81 (7) (July 1988), 826-829, which claimed to show that heart patients showed a statistically signficant benefit from intercessory prayer. Bittinger does not acknowledge any criticism of the Byrd study; indeed, he says, "To a statistician, Byrd's study proved intercessory prayer was effective." 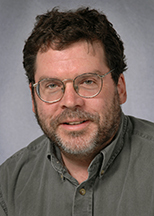 But Tessman and Tessman (Skeptical Inquirer (March/April 2000), 31-33 pointed that Byrd's study is bogus for three reasons: the analysis of the results was conducted in a non-blinded fashion by Byrd, the criteria used for evaluating the outcomes were created after the data had been collected, and the study's co-ordinator was non-blinded. Bittinger does not cite the work of Tessman and Tessman, nor other critiques by Sloan, Bagiella, and Powell (Lancet 353 (1999), 664-667) and Posner (Scientific Review of Alternative Medicine 4 (1) (Spring/Summer 2000). By refusing to acknowledge informed criticism of these prayer studies, Bittinger abdicates his responsibility as a professor and an academic. These two examples should suffice to show how the case in The Faith Equation is so transparently weak that even non-mathematicians should be able to spot the flaws. I was wondering if you could critique Richard Dawkins' arguments? Although you agree with his position, I am curious to know where you think his arguments are weak. Like most humans, I'm much better at finding the errors in arguments where I disagree with the conclusion than in arguments where I agree with the conclusion. I'm not really qualified to comment on Dawkins' biological arguments. I enjoyed The Selfish Gene and found it extremely profound when I first read it. As for his philosophical arguments, such as The God Delusion, I think they are generally spot on and are in line with my thinking much of the time. If there's a particular argument you'd like me to address, let me know. Two arguments in particular: (1) having a God more complicated than his creation makes little sense; and (2) one can't prove God does not exist but then one would need to consider the possibility that fairies exist, the flying spaghetti monster exists, etc. As for (1), a complicated God may not help you explain anything scientifically, but I don't see why this would make it unlikely for him to exist. As for (2), sure you may not be able to pin down which form of God may exist, but that doesn't imply he doesn't exist in some form. 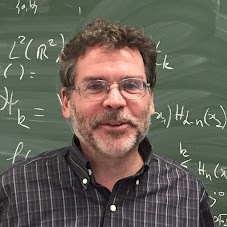 Mark Reid recently had an interesting post on the misuse of null hypothesis significance testing (NHST), based on Jacob Cohen's article The Earth is Round (p < .05). Therefore, the null hypothesis is highly unlikely. If a person is an American, then he is probably not a member of Congress. This person is a member of Congress. Therefore, he is probably not an American. If there is no God, then the probability of the universe's existence is very small. Anonymous, I don't think you've summarized Richard Dawkins' arguments correctly. This has nothing to do with existence or nonexistence, just what constitutes an explanation. For example, I could explain lightning by appealing to a Greek god, or I could explain it by electricity. In the first explanation, I am appealing to a complicated being, presumably with feelings, emotions, etc., and some cerebral content. In the second, I am appealing to tiny particles that obey relatively simple-to-state laws. Which explanation is more satisfying? Which allows me to make predictions? The second argument is also misstated. Dawkins invokes fairies when he is talking about why agnosticism is a cop-out; we can be agnostic with respect to the Judeo-Christian god, but then, by the same reasoning we should be agnostic with respect to fairies. Yet nobody is walking around saying that they are agnostic with respect to fairies. This has nothing to do with existence or nonexistence, just what constitutes an explanation. Well, there is that inner experience mystery that science will never explain. And one could always define God as representing that mystery. Whether or not an argument for God's existence is convincing is very much a matter of definition of what God is. Again, the issue is that you are being very specific about what God might be like. Try defining God in a much more abstract way. "Well, there is that inner experience mystery that science will never explain." The track record of people confidently proclaiming that science "will never explain" something is pretty poor. "Again, the issue is that you are being very specific about what God might be like. Try defining God in a much more abstract way." Sorry, it's not my job to define your god. That's up to you. It's hard to imagine how an explanation of inner experience could be tested. How can you tell whether anyone/anything other than you has inner experience? In terms of what matters for an individual, he/she might say that science will not explain inner experience or make any progress in that direction in his/her lifetime. From that person's point of view, whatever happens after he/she is dead is irrelevant with respect to his/her beliefs. "It's hard to imagine how an explanation of inner experience could be tested. How can you tell whether anyone/anything other than you has inner experience?" I don't see how your paucity of imagination constitutes an argument. Experiences are largely the result of neurons firing in the brain. We know from research that certain regions of the brain correspond to certain functions, and we can trigger various experiences, such as hallucinations and out-of-body experiences, by probing certain areas. I don't regard it as at all implausible that in the near future we will be able to tell with reasonable certainty what someone is experiencing in their "inner experience". I think we are talking about different things. When I say that someone/something has "inner experience" I mean inner experience in the same sense that you have inner experience. I don't mean that he/she/it seems to have inner experience. How can you distinguish between real and apparent inner experience from observation? Looking at neuron firings in the brain doesn't help here. Now I think you're just being silly. How can we know that we're not just brains in a vat, for that matter? We can't. But we can, through research, associate our mental experiences with the firing of certain neurons and hence build up a picture of what someone else's inner experience is like, even if they can't communicate it. You can have the last word, as I don't find this kind of sophistry the slightest bit interesting. Real inner experience is IMO the greatest mystery of all. It is precisely what is problematic with the atheist's confidence in science. There's more to life than what science will ever explain and this opens up the possibility for various notions of God. Who gets to decide which inner experiences are "real"? What about the experiences of people who say they have been kidnapped and "probed" by aliens, or that they talk to dead people? What about the inner experience of people who would not capitalize God, such as Hindus and Buddhists? Still the insistence that "God" not be defined first. This is an avoidance mechanism so that you can change your definition if some particular definition of God is disproved. Let's talk about the possibility that spleeve exist. After that, maybe I'll define "spleeve." Remember that this is a response to those who have set up the problem thusly: something complicated cannot come from something simpler. Therefore, as Dawkins points out, their proposed solution does not meet their own criteria. I don't mean anything mystical by "real inner experience". I just mean what you personally experience every day. One can define God as the real inner experience mystery. God may be a lot more than that but he is at least that. As for changing definitions, I don't see anything wrong with that. It allows us to better explore the space of God existence arguments. "One can define God as the real inner experience mystery. God may be a lot more than that but he is at least that. As for changing definitions, I don't see anything wrong with that. It allows us to better explore the space of God existence arguments." Why does it have to be a God? Why can't you just say "I don't know"? If we filled everything we didn't currently have a solution for with the answer "God did it", we would find the progression of great things such as technology to be put to a halt. The claim is that there is a mystery that will never be solved by science because it is impossible to distinguish apparent inner experience from real inner experience in an experiment. What this means is that the atheist's materialistic explanation of the world will never be complete. ... atheist's materialistic explanation of the world will never be complete. You mean, "... science's explanation of the world will never be complete."?? But, no one has claimed that science has to, or should, explain the world completely. Such a lofty goal was given up centuries ago, and it now only falls within the purview of religion or theology! And, sure, you may speculate over the mystery of the universe or the nature of real inner experience, but such speculation is just NOT science. It's metaphysics!